DEMA: The 12 Days of Christmas - DEMA Deals! 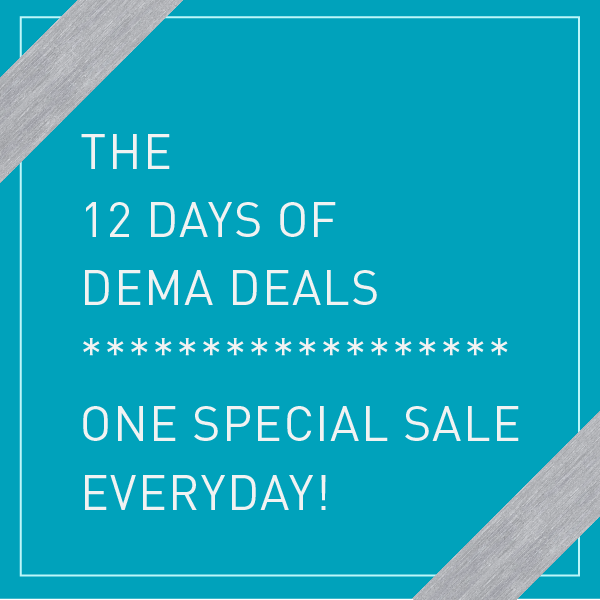 Starting Monday, December 8th - the 12 days of DEMA Deals will commence, offering a variety of discounts and sales each day! To stay informed on the changing deals, follow us on facebook, instagram or come back here to the blog & we will announce the special sale at 10 AM each day.